Yee~y! 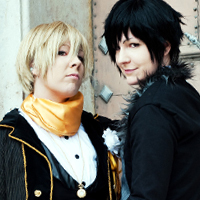 Shizaya :) When we first watched Durarara!! We immediately fell in love with those two. It's selfexplanatory of you watch the series. The way they always fight with each other and sincerely hate each other is fascinating. Also their characters are really funny and interesting. 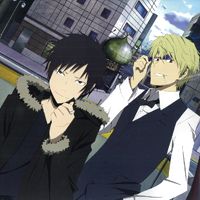 Although personally I think it's not my most suited character, but I like Shizuo's hairstyle and glasses. Also it was cool to act like him and be grumpy or furious all of the time. 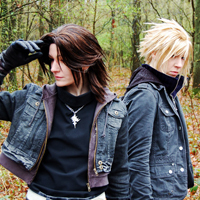 Also, Kay is a really great Izaya, to the point I really really hate her when she cosplays as him, because she is so in character it makes me mad. She can be annoying as hell, just like him. I don't know if I really love or sincerely hate her when she's doing him.